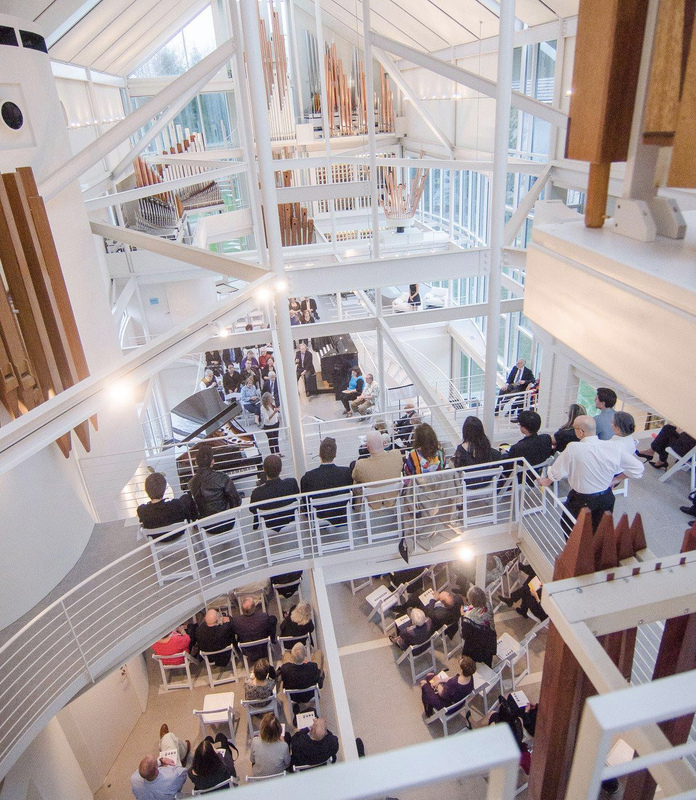 On Sunday evening, May 22, Choral Arts Cleveland presented its third and final concert of the season at Christ Episcopal Church in Shaker Heights. 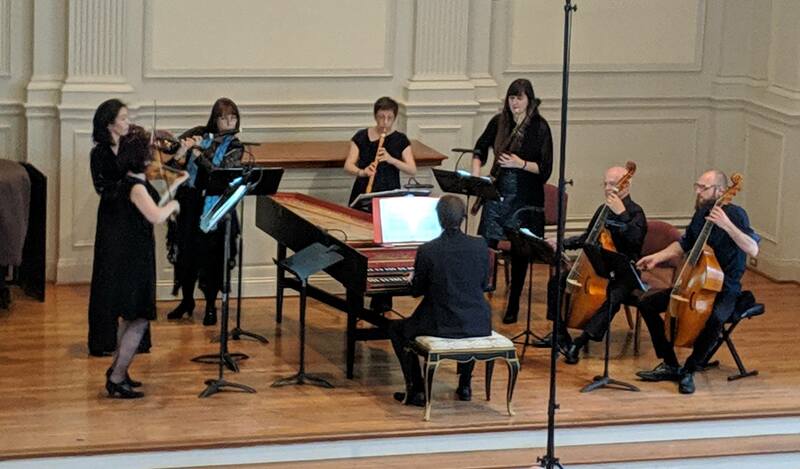 The program, titled “Chiaroscuro, Light and Shadow, Bodies in Motion,” included an interesting variety of styles and performance forces, including solo songs; a capella choruses; choruses accompanied by piano, organ, and additional instruments; and dancers from Verb Ballets. In the waning golden evening light, the sanctuary sparkled with atmosphere. 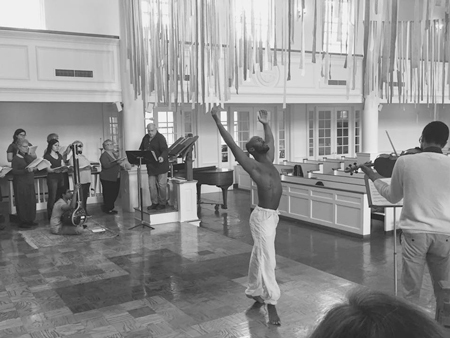 In addition to organist Jeannette Davis Ostrander, Christ Church’s music director, instrumentalists included the talented violist Andrew Stock (sometimes simulating the sound of the Indian sitar), pianist Joanne Poderis, percussionist Evan Mitchell (tam-tam), and Lalit Subramanian on tanpura (an Indian, four-stringed, drone instrument) — as well as four dancers, one female and three male. The chorus was divided into two parts, stage left (by the viola and tam-tam) and stage right (by the tanpura). The center of the Sanctuary became the stage for the dancers. While there didn’t seem to be any direct correspondence between the words and the choreography, the modern dance movements were graceful yet sparing, adding a wonderful richness to the musical flow. In the first movement, “Lux in tenebris,” with text from the Gospel of John, the chorus repeats the word illuminare many times. It opens imaginatively with a viola solo accompanied by the tanpura drone and the chorus humming. 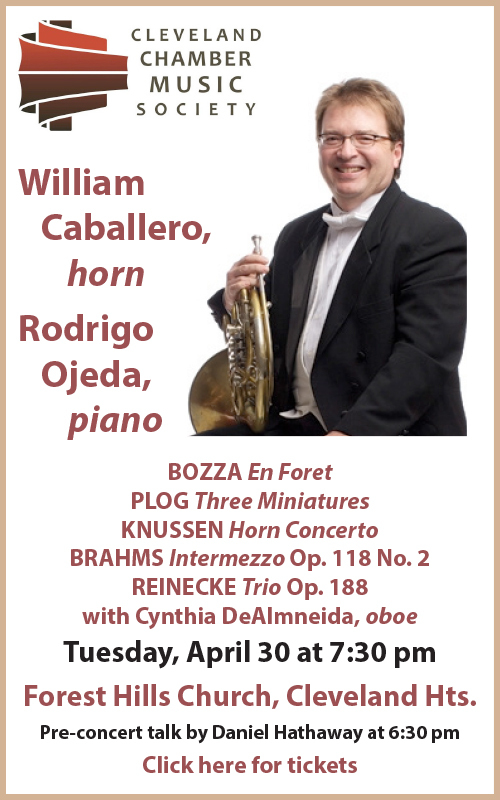 The next three movements, “The Changing Scenes,” “Castle of Diamonds,” and “Silence” (with texts by the 19th-century Zen Buddhist nun Ryonen, 16th-century saint Theresa of Avila, and Isaac of Nineveh from the 7th century) were performed without pause, concluded by a fine organ solo. “The Living Thing,” on a 14th-century text by Julian of Norwich, expresses the sentiment that “all things have their being through the love of God.” Melismas added charm. In “Ask the Beauty,” on a 3rd-century text by Augustine of Hippo, the dancers, in costumes of many colors, added a stunning counterpoint of movement to the prayerful text. “All Shall Be Well,” also on a text by Julian of Norwich, featured a lovely soprano solo by Laurie Aronoff. 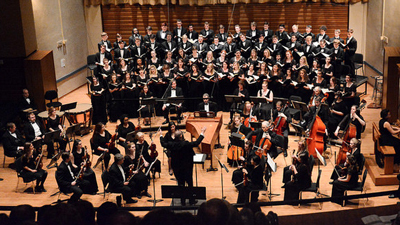 The final “Alleluia” shone with fine choral writing to close an engaging, 30-minute work that flowed beautifully. 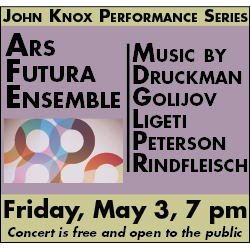 The concert opened with 8 shorter works also chosen to support the topic of light and shadow. The solo songs included Richard Strauss’s unpretentious Traum durch die Dämmerung (Dreaming Through Twilight), sung effectively by baritone and Associate Director, John Watson; Samuel Barber’s Sure on this Shining Night, sung by Barton Black with an unfortunate lack of textual intelligibility; Henry Mancini’s Moon River sung very musically by Rick Schmid in a charming arrangement; and Gabriel Fauré’s nearly impressionistic L’Aurore (Dawn), sung beautifully and expressively by Laurie Aronoff. The choral works scintillated with fine performances. 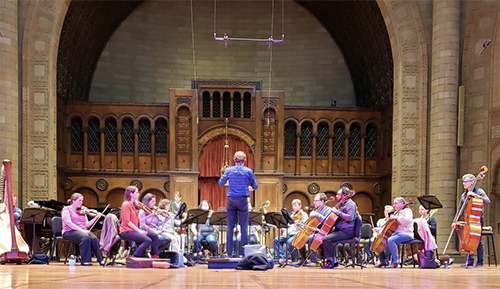 Russian composer Alexandre Gretchianinoff’s Holy Radiant Light, a short neo-romantic piece, was unabashedly triadic and featured gorgeous low range men’s vocal sounds, and John Watson conducted an excellent rendition of the “Agnus Dei” from Gabriel Fauré’s Requiem. Morten Lauridsen’s O Nata Lux was especially beautiful, its largely homophonic texture shimmering with lovely imitative passages. Keith Hampton’s True Light is an imaginative arrangement of the famous spiritual, This Little Light of Mine. The antiphonal exchanges in the chorus delighted the audience, as did Emily Cornell’s two beautiful solos. 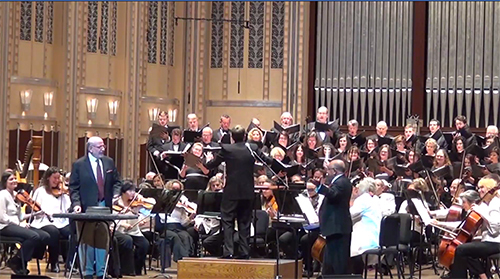 Published on ClevelandClassical.com May 25, 2016.